Chinese ride-sharing giant Didi Chuxing landed a $500 million investment from Booking Holdings, owner of Booking.com and similar sites, in a tie-up that will see the companies offer their services on each other's platforms, they said Tuesday. The deal comes as Didi—China's version of Uber—fights off upstart rivals at home while taking on Uber overseas. The partnership will allow users of Booking's online travel brands—including Kayak, Priceline, and Agoda—to hail cars while Didi customers will be able to book hotel stays and other services through those platforms. "We believe that together we can offer smarter transportation services to our brands' customers," said Todd Henrich, head of corporate development for Booking Holdings. Chinese food delivery giant Meituan Dianping, as well as a new partnership made up of the country's three largest state-owned automakers, have announced plans to expand into the domestic ride-hailing market, presaging a possible turf war with Didi. 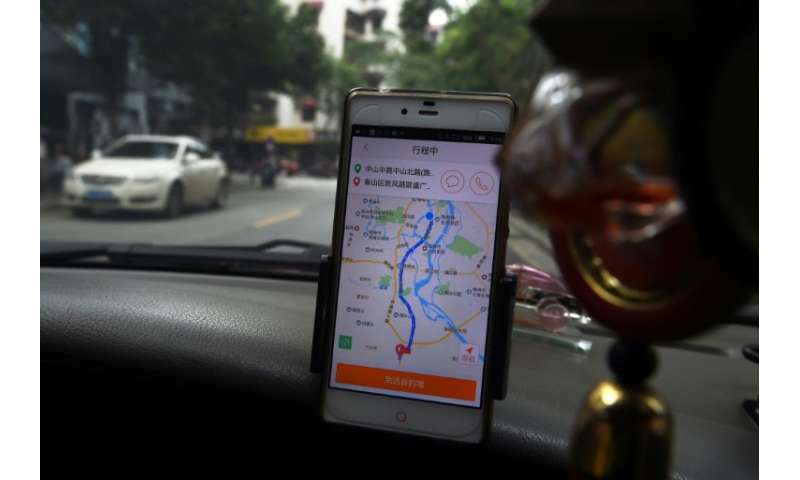 Didi's last battle for China left both it and Uber badly bruised and only ended when Uber sold its China operations to Didi in 2016 in return for a stake in its business. But the two ride-sharing giants remain fierce competitors in a growing list of markets around the globe. Last month Didi—one of Asia's most valuable start-ups—entered Australia following similar moves into Japan and Brazil. Meanwhile, Uber has retreated from Southeast Asia, selling its business in the region in March to Singapore-based rival Grab.